(Corrects year of district court ruling in ninth paragraph)NEW YORK, Feb 27 (Reuters) – Argentina will seek on Wednesday to persuade a U.S. appeals court to reverse an order that it pay $1.3 billion to a group of dissident bondholders stemming from the country’s 2001 default, a showdown that could have wide impact on global debt markets. The arguments at the 2nd U.S. Circuit Court of Appeals in New York are being closely watched amid fears of a new Argentina debt crisis if the country must pay the so-called “holdout” investors. Argentina, though, calls these investors vultures and has vowed not to pay them. A victory by the holdouts, Argentina argues, would harm investors who agreed to the debt restructurings as well as banks that handle its payments. The country also says such a ruling could make future debt crises “unresolvable” and spur further investor litigation. 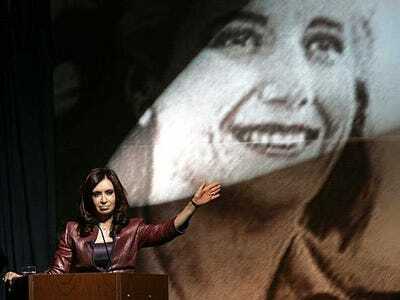 A decision against Argentina would deal a major blow to President Cristina Fernandez. As a sign of the importance of the court hearing, Argentina’s Economy Minister Hernan Lorenzino is planning to attend the hearing, his spokeswoman said Tuesday. A three-judge panel is set to hear arguments from lawyers for Argentina and for the holdouts, as well as several other parties. Argentina defaulted 12 years ago on about $100 billion in sovereign debt. About 92 per cent of its bonds were restructured in 2005 and 2010, giving holders 25 cents to 29 cents on the dollar. If ordered to pay the small group of holdout creditors, there are fears that Argentina could default again on $24 billion in previously restructured debt. U.S. District Judge Thomas Griesa in New York ruled in February 2012 that Argentina violated a key provision of its bond contracts. That provision required the country to treat all of its creditors equally by paying the holdouts if it also paid investors who had agreed to the two debt swap deals, the judge found. In October, the 2nd Circuit largely upheld that ruling. It is now reviewing Griesa’s plan for how the payments would work. Griesa has said the next time Argentina made an interest payment to the exchange bondholders, it would have to pay $1.33 billion owed to the holdouts into a court escrow account. The appeals court is also examining treatment of Bank of New York Mellon, which acts as trustee to the exchange bondholders, and the impact from the ruling’s injunction on other third parties. In their appeal, Argentina’s lawyers have contended U.S. courts do not have the authority to order a sovereign government to turn over assets to bondholders. But Henry Weisburg, a lawyer at Shearman & Sterling who has followed the case, said Argentina made similar arguments during its last hearing before the appeals court. And he also noted the appeal will be heard by the same panel that issued the October ruling backing Griesa. “You have to wonder what traction they’ll have the second time around,” he said of Argentina. In court papers, lawyers for Argentina have said the country would be willing to reopen its restructuring offer. Such a move, though, would require legislative permission and likely be rejected by the holdouts. Argentina is separately awaiting a decision on whether the court will grant a rehearing of the October decision that required equal treatment of the holdout investors. The U.S. government has backed that appeal, saying if the ruling is upheld, it could undermine the ability of other governments to negotiate future debt restructurings. The appeals court’s ultimate decision after Wednesday’s hearing could be the final word on the matter. Although the court could end up rehearing the case or the Supreme Court could ultimately take up the case, such reviews are rare.